I only had one day to ride in Flagstaff, so I tried to make it count. 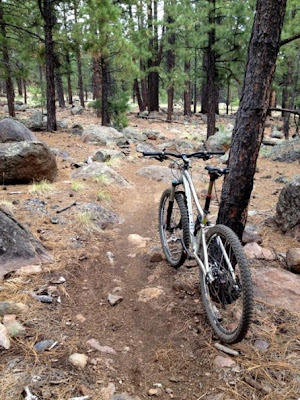 I started my ride at the rocking Fort Valley Trail System which, unbeknownst to me, connects to several other major Flagstaff trails. My route ended up taking me from Fort Valley Trail System to Schultz Creek Trail to the Arizona Trail and back the to Fort Valley Trail System.